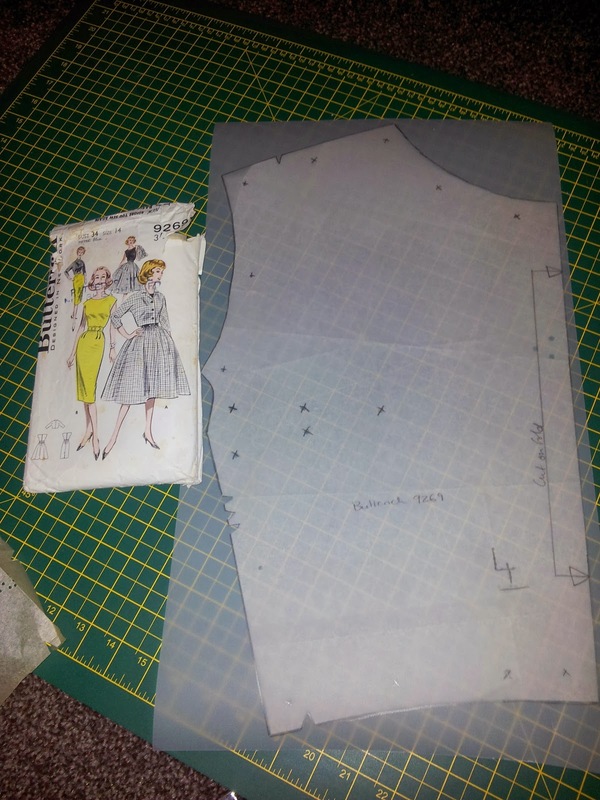 So when I received this pattern from eBay I thought there had been some mistake and that I'd been sent someone's tracings instead of the actual pattern pieces. 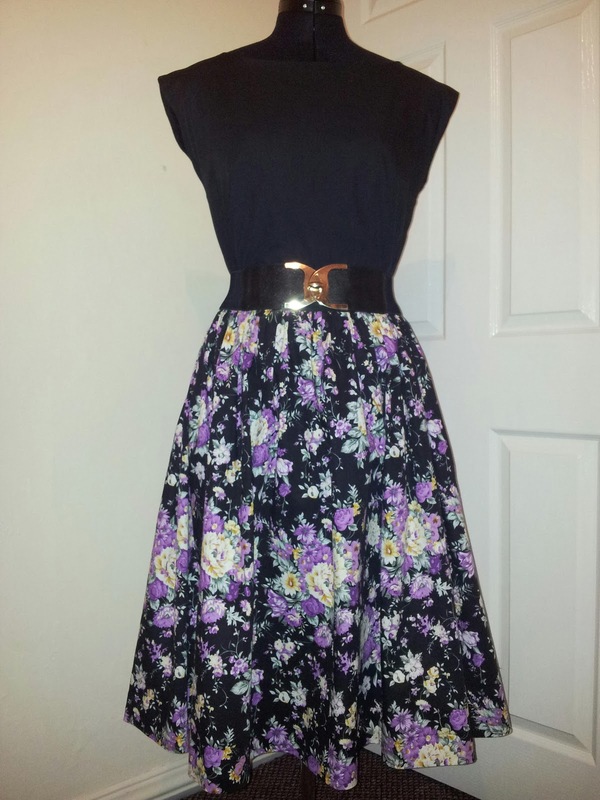 Until I noticed that on my other vintage patterns they stated 'Printed Pattern' and this one did not. Shock and horror. What on earth do I do with this?? Well first of all I Googled it just to be sure and yes it appears that original patterns had no printing. I got down to tracing it and I didn't even notice that it had no printing. The perforations were a little tricky in places to see, but it was no problem at all. 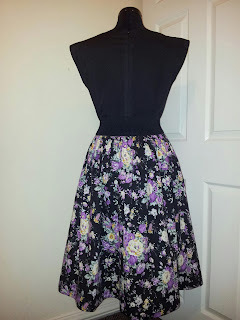 The pictures haven't come out as well as I wanted them to, but the bodice has kimono sleeves and a boat shaped neckline. I had a fair bit of re-drafting to do on the bodice because of the shoulders. 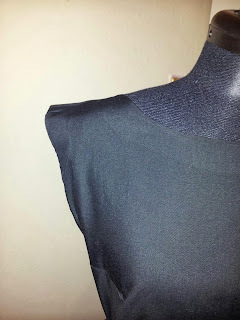 In my first attempt I took almost 2 inches off the neckline, front the center, tapering it in a triangle shape down to the waist. 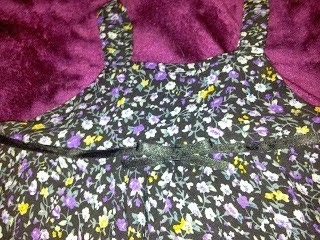 This fit perfectly, however I forgot to amend the neckline and it was a very shallow odd looking v-shape. 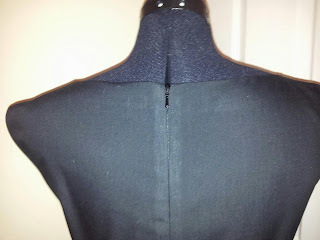 On my second draft I re-drew the neckline, (with a little help from my French curve) which fixed the problem. I then had to make adjustments to the skirt as I didn't have enough fabric and I also thought it would be way too big, or at least it would be for my comfort. 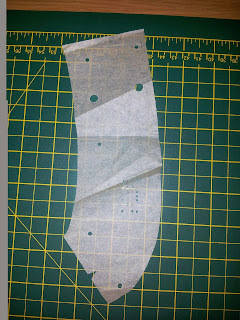 So I also took 4 inches off the side of each skirt piece, which you cut double of. I used some bias tape from Boyes to finish the hem. 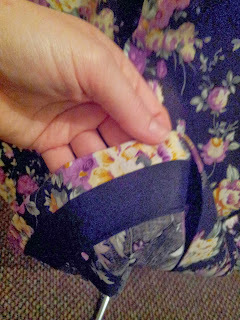 The hem looks so much sharper doing it this way rather than my usual attempt at blind stitching. I plan to wear this dress at a baby shower that I'm going to this week, which is why I'm not in the dress on the pictures. I'm not really so sure about this dress. 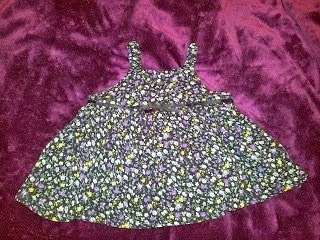 I've never made a baby dress before and this one was free from a downloadable PDF that I found online. Don't get me wrong, it's a really cute dress pattern, but I think I made a poor fabric choice and the ribbon makes it look a bit gothic! However, it was made from scraps I had left over from another dress, so if the Mother doesn't like it she could always use it on a doll or as a duster ha ha!